If you had thought that chocolates have more variations, then you would be surprised to know that there are a huge number of website builders. Every web builder has something new and unique to offer. In this scenario, it is natural that consumers would be confused. If you consult web designing companies like Intlum, you would understand that how difficult it is to find the best web builder platform. Well! The most important factor in every platform and its features are Freemium or Premium. And of course, to make the design look more secure, sound, and pro you would opt the Premium features. So, when you are paying such a hefty amount of money, definitely you would go to the right platform that would not rob you unnecessarily. The choice is difficult for sure but not impossible. Let’s talk about the deets and tips to select the right platform to build your eCommerce site or a simple website. 3 3. How Easy or Difficult is it to Operate? 4 4. Is it Cost Effective? 5 5. How Much Coding is Enough? Before anything you opt, you must be aware of the platforms or the brands that are available within your budget. As we already discussed that there are more options than you can even imagine. But, when you have a separate budget for it, things become easier. Talking about the best in the market, the following platforms are all amazing and full of brilliant features namely Wix, Squarespace, Weebly, and WordPress. All these platforms manage the hosting of your site and also maintains the system administration for you. Awesome, right? All the platforms offer the major benefits and execute the functions in a much pro way. But before you invest your hard-earned money on a particular one, you must know what are the functionalities and how do they perform. This is a crucial stage where you need to compare all of these individually. A detailed analysis is indeed required to extract the best service. 3. How Easy or Difficult is it to Operate? Well! It is the most important question that one should definitely try to know before making the final decision. It is kind of a relative question. If you are someone who faces tough time even when working with emails, then the approach should be different. In this scenario, you must invest your time and money in hiring a person who is an expert. And, in case you are just the opposite who is quite an expert, then you can opt for the better platforms which might be difficult to handle but full of brilliant features. The choice is as always yours. 4. Is it Cost Effective? Price is a point that plays a major role in deciding the right platform for your website. Suppose, your favorite platform costs pretty high and you simply cannot afford it. So, it is a complete wastage of time to eye on that. Rather focus and spend your energy on something which provides you just the right benefits you want and then you can just go for it. Budget is something that must be fixed way before. It often creates troubles and nuances in project handlings. So, make your headstrong while making the right decision and do not eye for something luxurious that you cannot even think to buy. In fact, another factor is that most of this platform come with renewable features. It means after a certain period of time, you need to renew the contract. Even if you buy something luxurious, just make sure whether you would be able to renew it time to time or not. Lastly, the decision is completely yours. 5. How Much Coding is Enough? This is a question that bothers many. The knowledge of coding is definitely required to make a website successful. So, while you are making a purchase, make sure to check whether you are coding or technical languages or not. As we already discussed, if you find trouble in handling the simplest Gmail accounts, then you might become totally perplexed. It is always better to hire either an expert freelancer or if you have a sufficient budget you can hire an entire web developing company as well. It is another important parameter that should govern your decision. People’s review and rating talk much about a certain product. Suppose, after a lot of discussions and analysis, you have chosen such a platform that rarely people have used or had a negative rating altogether. Do you really think that it would be a wise thing to do? When people vote negative for something, there are reasons. And, as a responsible buyer, you should always remember that. Always make sure that you have seen the numbers and are aware of the ratings. If possible check out the reviews of these platforms on some genuine websites. Often, many important things come out from these reviews. Believe it or not, this factor plays quite a significant role in making the right decision. 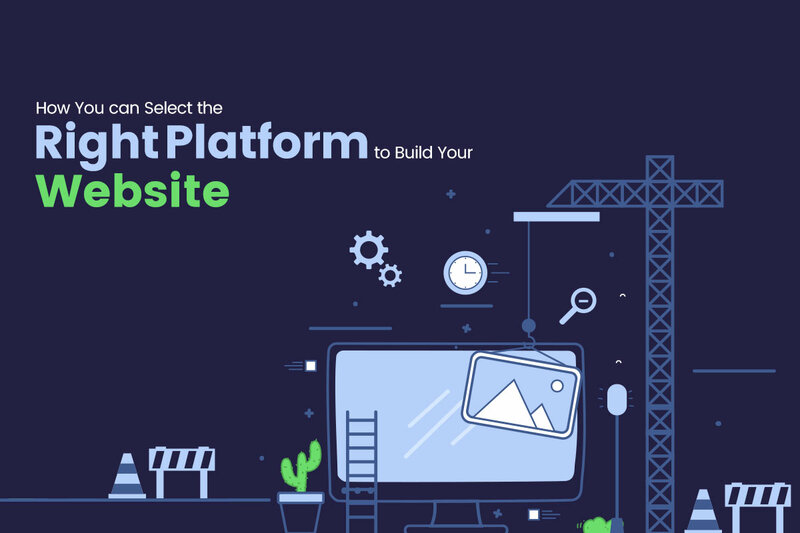 If a particular platform has been built a long time back, then it can be easily said that the platform is the pioneer in the web building industry. If the brand like layerpoint is quite an old player in the market, that means it has high credibility and is more trustable. Isn’t it an interesting factor to consider? Well! Another emerging point that you must consider before making the right decision. Check out whether your chosen platform is quite a trending name on Google or not. How has its business expanded over the last 10 to 15 years? How amazingly it has handled its losses and predicaments. Does it have a proper refund policy? What are the pros and cons of this particular platform? How efficient is its supportive team? Well! These are some of the questions that you must check thoroughly before making the decision. We believe that a decision making becomes tough only when you don’t have the proper guideline with you. All of these 8 tips and tricks are enough to help you in making the right choice. Now, choose the right platform to build the best website in the market with ease.